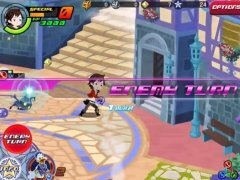 Visit Disney's worlds living an adventure from your iPhone or iPad thanks to Kingdom Hearts Unchained X. You'll meet plenty of Disney characters like Mickey Mouse, Donald or Goofy, among others. 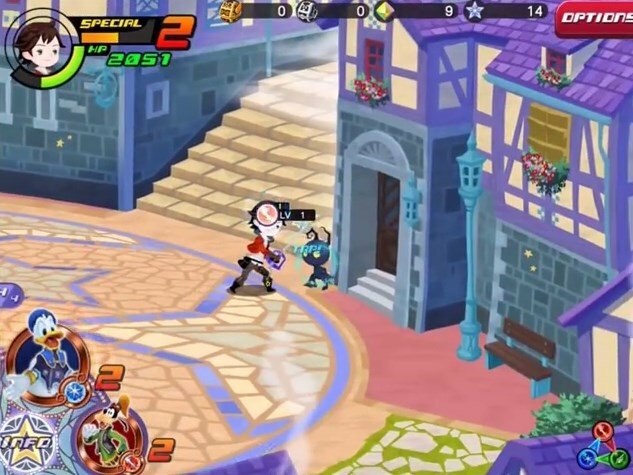 Your mission is to face up against the Heartless as you explore the different worlds of this franchise. 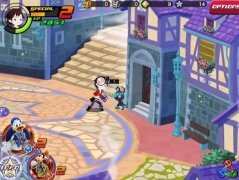 A game that brings together Disney, Kingdom Hearts and Final Fantasy. It's a role-playing game with aspects from all three universes. 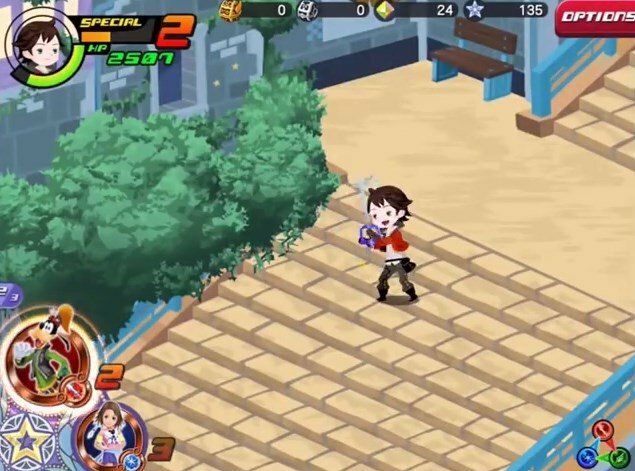 As we complete missions and gain experience, our characters will increase his level and we'll be able to customize him differently. 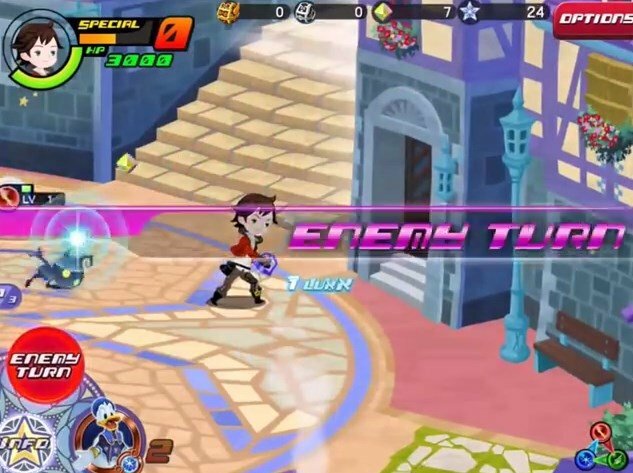 Battle it out against the Heartless using legendary swords. 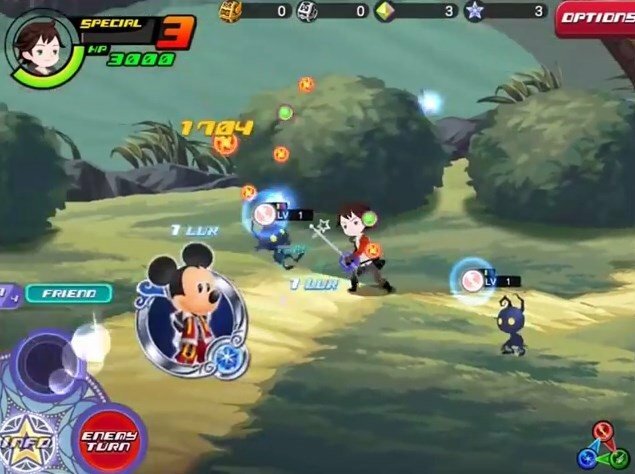 Collect different medals and make the most of their powers belonging to Disney and Final Fantasy heroes and villains. 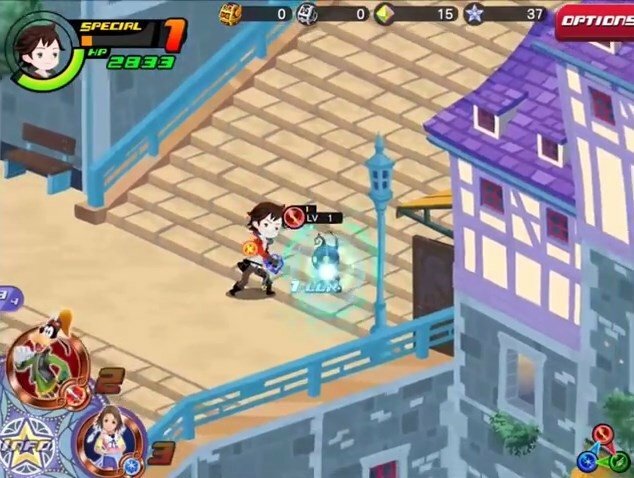 Create strategies to defeat your enemies in just a few turns using special attacks. 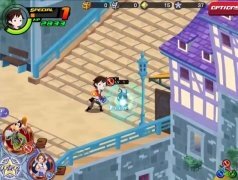 Team up with your friends and challenge powerful enemies to earn important rewards. 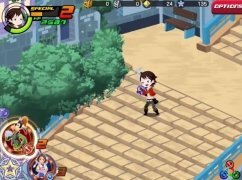 Unlock medals surviving to challenges in the Olympus Coliseum. Customize your hero by changing his avatar to suit your style.